Results and Effects: Natural gel for everyday maintenance of healthy scalp and hair with completely natural ingredients without chemicals or additives. 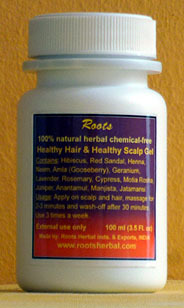 Using this gel prevents many future hair and scalp problems like falling hair, greying, dandruff etc. Usage: Apply on scalp and hair, massage for 2-3 minutes and rinse off after 30 minutes. Use 3 times a week.